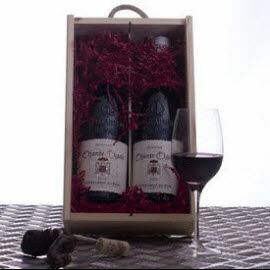 You can mix the wine 1 bottle red and 1 bottle of Chateauneuf du Pape Chante Cigale, red du pape or 2 white de pape in a wooden wine box. Maceration 28 to 35 days. Pre fermentation at cold temperature 5 days at 10° C.
body smooth and strong, spicies and black fruits.